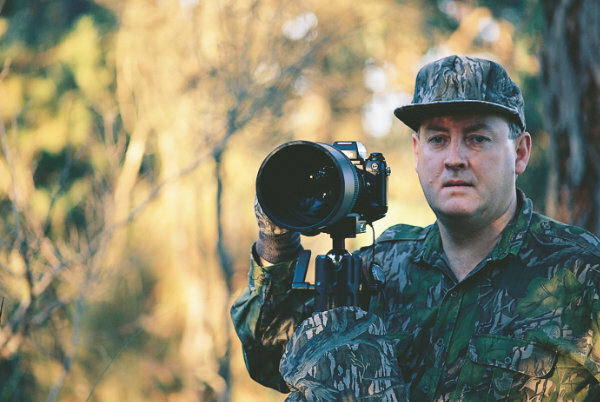 Errol Mason and his wife Lynne operate Shikari Press, a family owned business committed to studying and photographing sambar deer in Victoria's High Country, then publishing the results in full colour, best quality books. They also run training courses for sambar hunters. Between 2000 and 2005 Errol guided many clients to the trophy of a lifetime and along the way gained a deep insight into the sambar’s mysterious ways. Through his books, his highly regarded Hunt Smart© Training Course, and now his NEW magazine - Errol is now offering to pass on knowledge which is certain to FAST-TRACK you to the 'Trophy of a Lifetime'. Secrets of the Sambar Volumes 1, 2 and 3 are available individually or as a complete set. All copies are signed by the author. Possessing a wealth of experience and knowledge accumulated during 30 years of hunting and studying sambar, Errol Mason truly is a Sambar Deer Specialist who possesses a deep insight into the mysterious ways of this intriguing species. Errol’s wife Lynne designed and edited Volumes 1, 2 and 3 in her usual masterly style. Lynne also provides fabulous gourmet meals for hunters attending the Hunt Smart® Training Course.